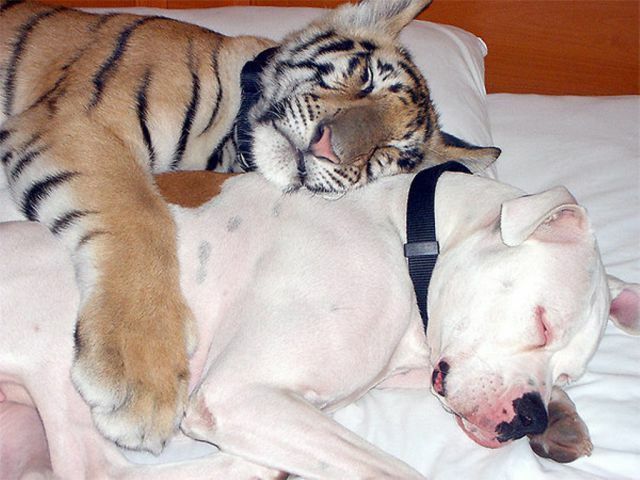 After spending a lot of time alone in the same room of the owners house, they grew fond of each other. 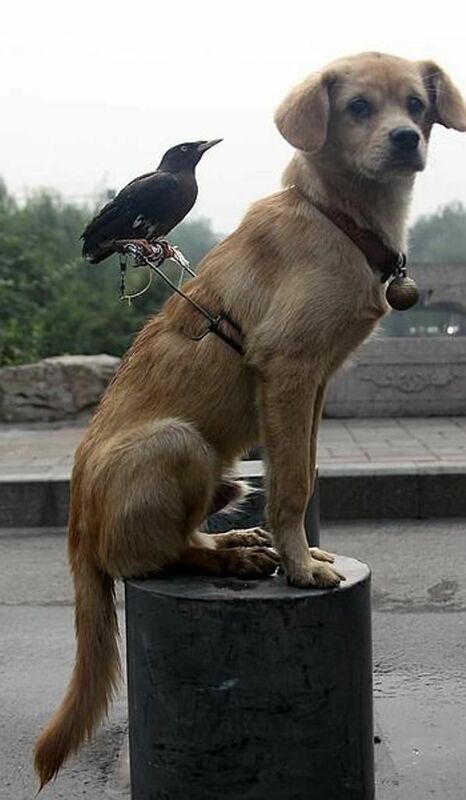 The crow is almost always on the dog's back, the dog even barks when people try to touch his pal. The owner built a custom harness for more comfortable rides. 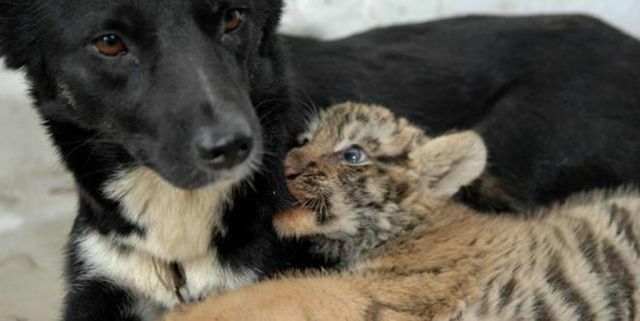 The Fernandez family adopted a tiger cub after he lost his family. He's been raised with the family dog since youth and they are inseparable. 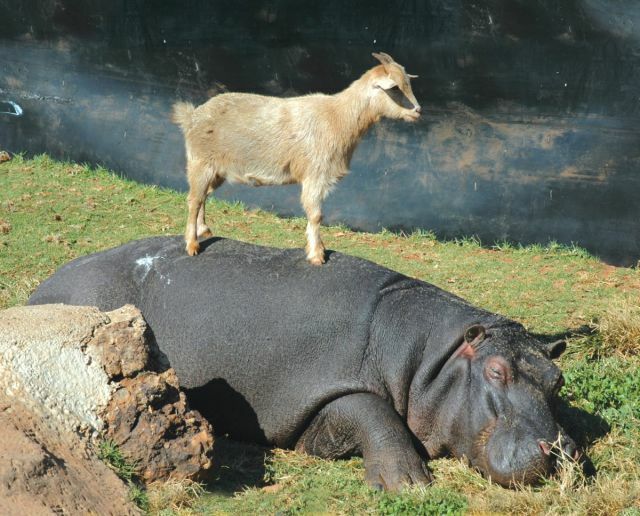 Humphrey was a house pet that became too large and was moved to the Rhino and Lion Nature Reserve in South Africa , where he was safe but lonely. Cameroon Pygmy Mountain Goat climbed Humphrey's enclosure fence and befriended him. 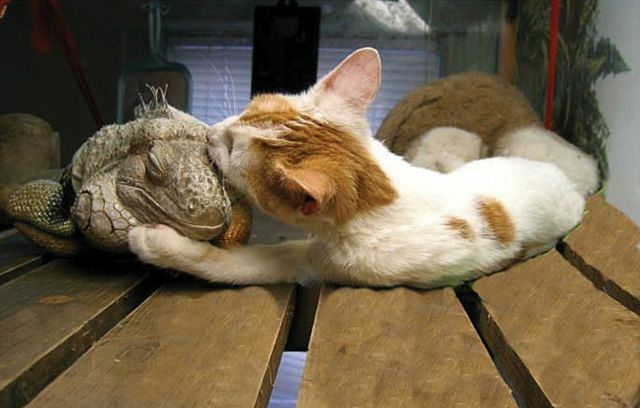 Sobe the iguana and Johann the cat were both rescued by a woman in Brooklyn, NY. Every day when the iguana is let out of her cage, she seeks out Johann for play time, along with a rabbit also kept as a pet. 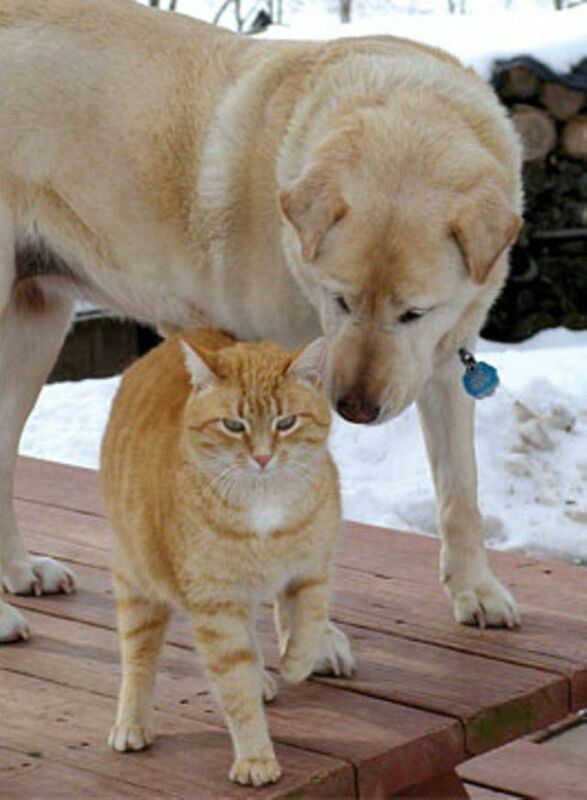 After a family took in this stray cat, she grew fond of their elderly dog. Realizing the dog was blind, the cat took on the responsibility of leading the dog to his water, food, shade, and toys. 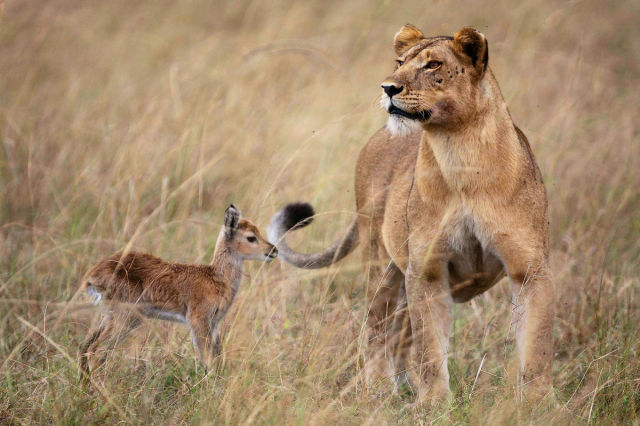 She would follow closely under his chin to guide him. 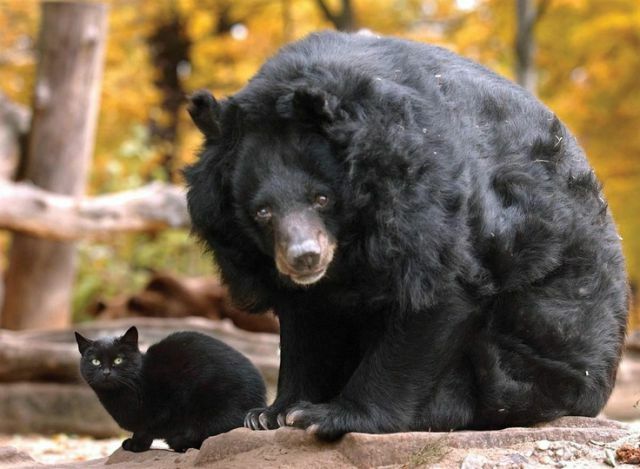 A stray cat wandered into this asiastic bear's enclosure at the Berlin Zoo. It's been coming back frequently for 10 years to visit its friend. 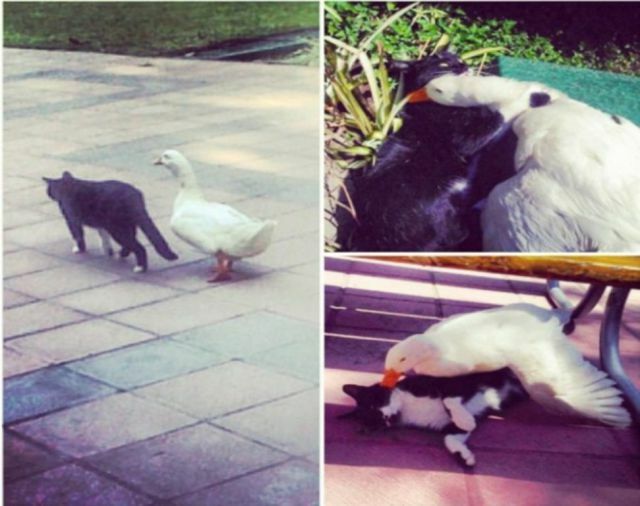 This pair have been seen together for over a year in Lake Van , Turkey . 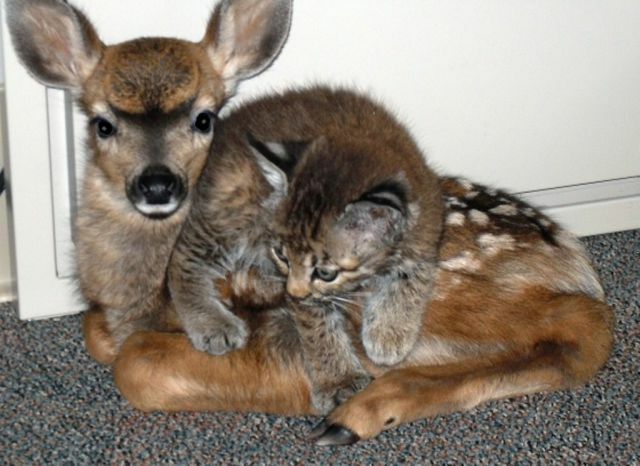 They were first spotted by local fisherman who witnessed them sharing a fish and playing together.